England has started a new game called Set for Life, which is a pick-5 + pick-1 Powerball type lottery. Set For Life costs £1.50 to play and Set For Life Draws take place on Mondays and Thursdays. To play the game, choose 5 numbers from 1-47 and one number from 1-10. The odds of winning the Set for Life jackpot are 1 in 15,339,390. The prize for hitting all 5 main numbers and the Life Ball is £10,000 Every month for 30 years. 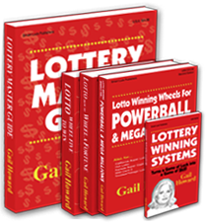 Republic of South Africa has started a new lottery game called Daily Lotto on March 10, 2019. This is a pick-5 game where you choose 5 numbers from 1-36 to play. Drawings are held daily!